I am a Portrait Artist who specializes High School Seniors/Teens/Tweens, Children and Family Portraiture, Models/High Fashion, Professional Headshots & Boudoir. 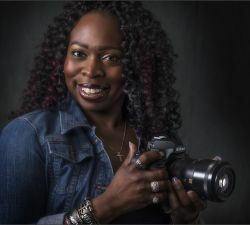 Through hard work and perseverance, Sevier Photography Studio has achieved a very elite status by obtaining a Certification in Professional Photography (CPP) as awarded by the Professional Photographers of America (PPA). This Certification helps identify professional photographers who have demonstrated technical competency through both a written examination and a photographic image submission in which specific technical criteria must be achieved. There are over 80,000 photographers nationwide but only an elite few, about 3%, are Certified. Thank you for taking the time to learn a little about Sevier Photography Studio and the experience and expertise we bring to our customers.